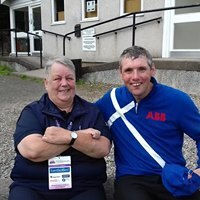 Special Olympics GB 40th Anniversary Games ended 13th August after 4 glorious days of sport. Team Highland arrived back in Inverness with 9 gold, 17 silver and 8 bronze medals, as well as 23 place ribbons. A tremendous performance from the whole squad! Well done to all the athletes and huge thanks to the coaches for all of their hard work. After 4 wonderful days, the Anniversary Games in Stirling have come to a close! We have experienced some incredible sporting action, new friendships created, fantastic sportsmansip, Wallace running riot and most of all new memories being made! To share these moments with you, we are delighted to release the Flickr Page with fantastic images of the games! Please click the link below to see a great selection of photos from The Anniversary Games! Part of the 2009 Team Highland squad with Janet Home and David Sutherland. We are delighted to announce that the 2017 National Summer Games – the 10th in history of the organisation - will be held in Sheffield from Monday 7th August until Friday 11th August 2017. 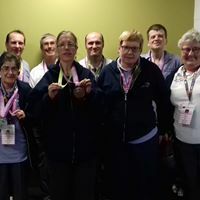 This will be the second time that the Special Olympics GB National Summer Games have been held in the steel city – the last time was in 1993. Venues for the Games will include the Sheffield Hallam University City Athletics Stadium; Sheffield City Trust’s Ponds Forge International Sports Centre; Hillsborough Leisure Centre; Concord Sports Centre; Graves Tennis and Leisure Centre; the English Institute of Sport Sheffield and Forge Valley School - all helping to host the UK’s biggest disability sports event in 2017. 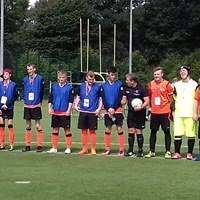 The Special Olympics World Games are held every 4 years, and 2 years prior to each, Special Olympics GB host the National Summer Games, at which regions from all over Great Britain send squads to compete. From the National Games the squad to represent Great Britain at the World Games is selected. 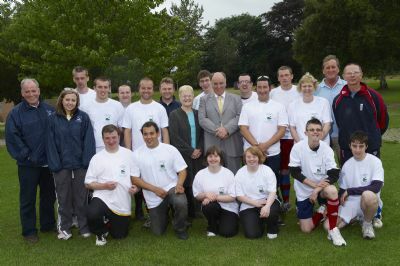 Highland Disability Sport is an affiliated member of Special Olympics GB, and as such is invited to send teams to Special Olympics events. 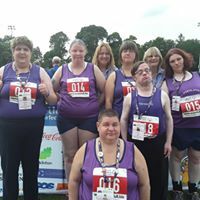 Team Highland are regulars at the Special Olympics GB National Games, and have in the past had athletes selected to represent Great Britain at the World Games, winning gold , silver and bronze medals in both team and individual events. The 2013 National Summer Games took place at Bath University from 28th August until 1st September. 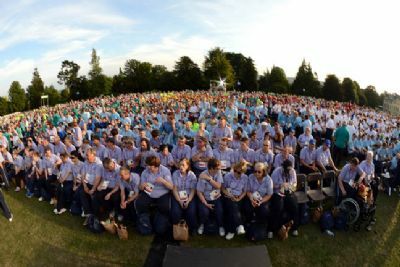 1700 athletes, 600 coaches, 120 sports officials, 500 volunteers, and 3500 family members & friends descended on Bath University to participate in Britain’s largest sports event taking place this year. 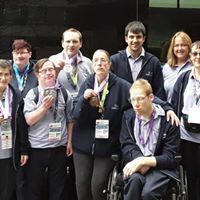 12 regions sent delegations to take part in the 12 sports available, and Team Highland competed with their squad of 52 athletes and 28 coaches representing 6 sports – athletics, boccia, bowls, football, golf & swimming. Janet Home was Head of Delegation, assisted by Lesley Jones and Sue Banks. 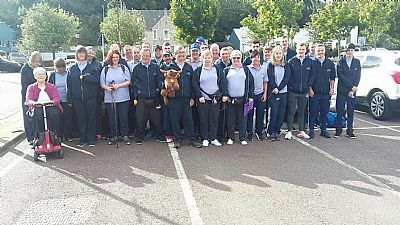 Many supermarket bags were packed during the fundraising, and Highland Disability Sport was fortunate to receive financial assistance from Highland Council Ward Discretionary Budgets, Northern Counties Lady Bowlers and the Volunteer Action Fund to assist with raising the cost of sending to squad to participate. The Games once again gave Highland the opportunity to show off its sporting prowess, and the squad took home 61 medals in total – 22 gold, 18 silver and 21 bronze - with an amazing 9 personal best results in athletics and swimming. Athletes and coaches alike were moved to tears at the efforts of the squad, and all are to be highly commended for their hard work both before and during the Games. 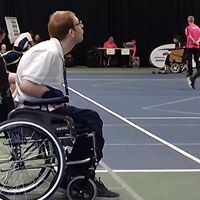 To be eligible to represent Great Britain, athletes and coaches must not only be proficient in their sport, but also display good sportsmanship, and ambassadorial qualities. 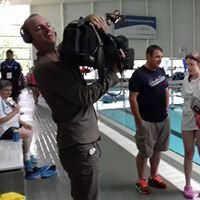 Team Highland has many prospective candidates, athletes and coaches alike, for the World Games in 2015, which are being held in Los Angeles, and we are optimistic that the Highlands will be represented there. The 2013 Summer Games will take place in Bath. The following is a list of the sports we have been told may be available for competition, along with estimated numbers for the Team Highland squad. Athletes and coaches are reminded that only those in regular training will be selected for the squad.